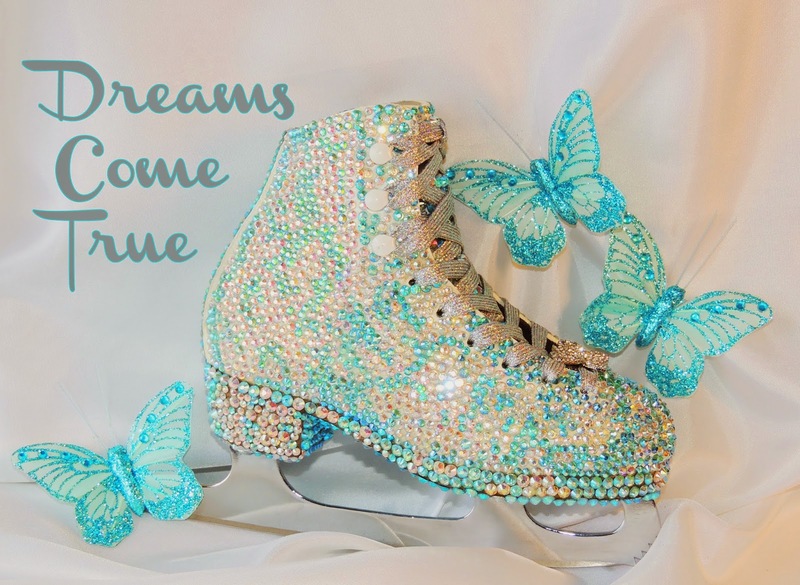 Another great CHA 2015 find are these cute rhinestone butterfly lace charms from The Buckle Boutique I knew I wanted to offer these to our SkatingRocks.com customers, so I decided to make this eye catching Cinderella inspired display skate for our skating pro shop. What better timing than the new Cinderella movie release to introduce these sweet butterfly lace charms to our customers! 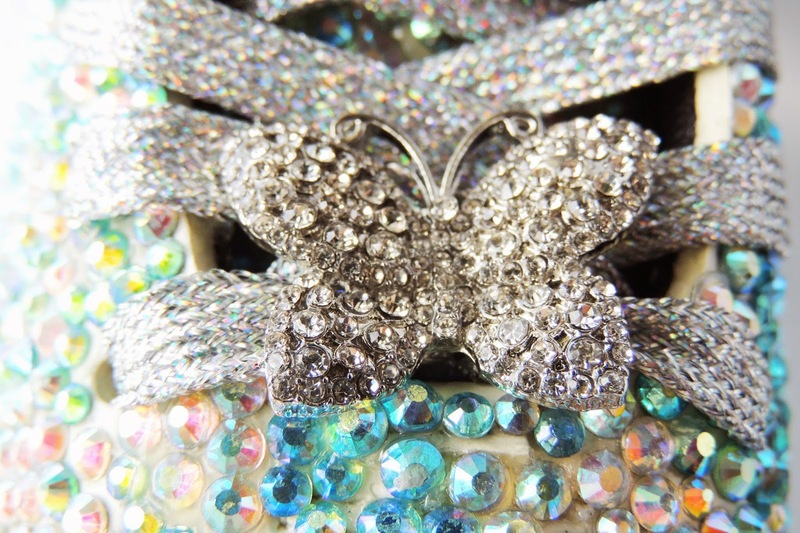 Rhinestone Butterfly Lace Charms now available at www.SkatingRocks.com! 1. I used an alcohol wipe as a primer to remove any wax coating on the outside of the leather. 2. I used a nail salon type sanding block to rough up the leather and prepare it for the glue. 3. 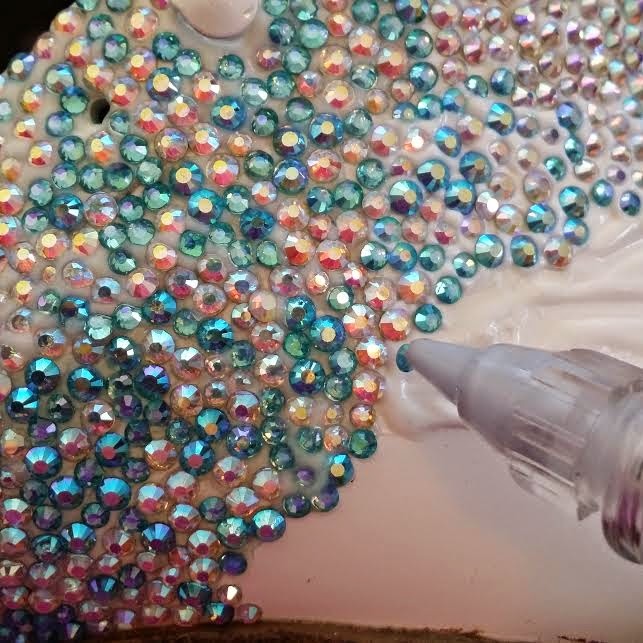 I used GEM-TAC adhesive to apply the stones. I also like to flood the area so the glue encapsulates the stone. It dries clear so you cant tell how much glue is on there and it adds additional protection from the stone being sheared off. 4. I used 16ss and 12ss AB and aquamarine AB stones, I purchased from a wholesale crystal supplier, in a random pattern. I used 20ss, 16ss and 12ss stones on the tongue and bottom of the skate for additional impact. 5. I used my Silhouette pick up tool to place the stones. It took me about 8 hours to place all of the stones on the skate, and a total of 5 days to complete the project. I did the project in sections and allowed 24 hours drying time for each section. That was a LOT of work applying all those gemstones individual like that!! I love the Butterfly charm and would have been in heaven back in the day when I could skate if I had them on my skates! !